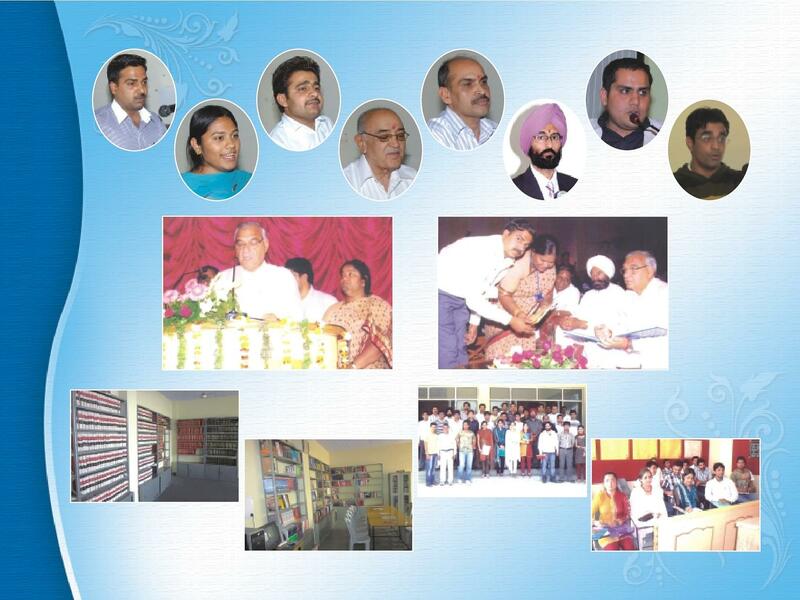 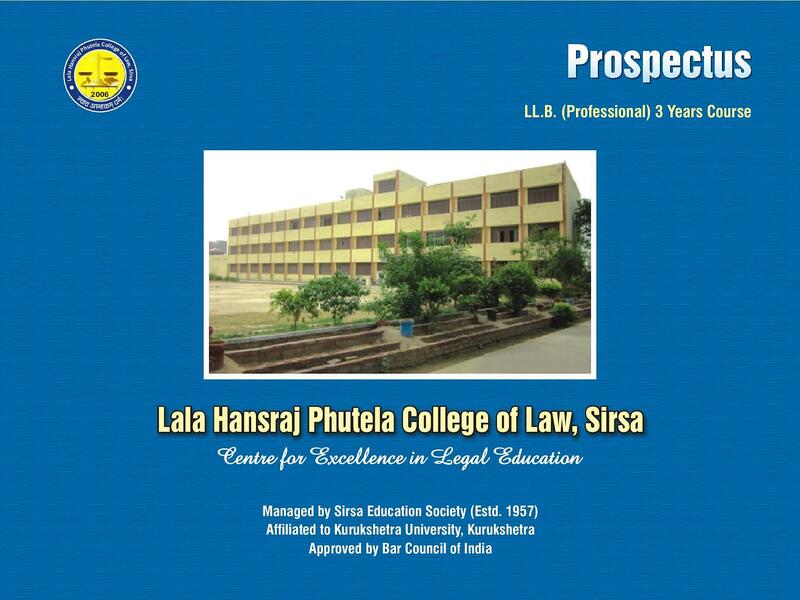 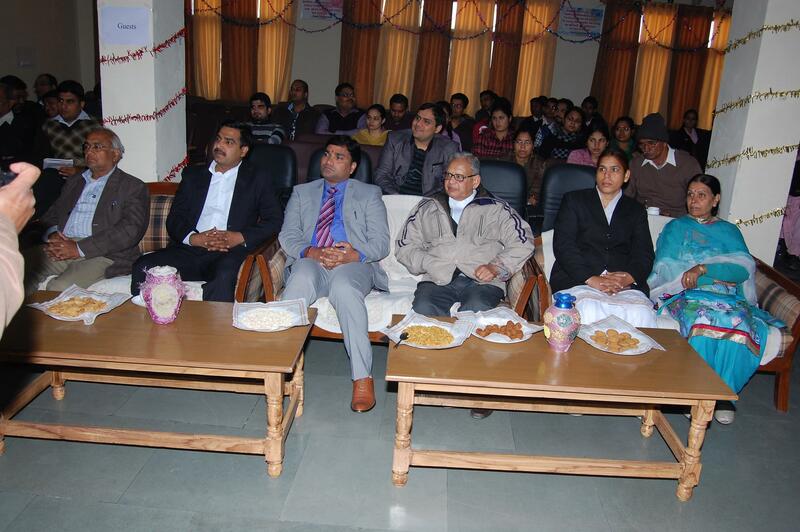 Lala Hansraj Phutela College of Law, Sirsa was established in 2006, it is managed by sirsa education society. 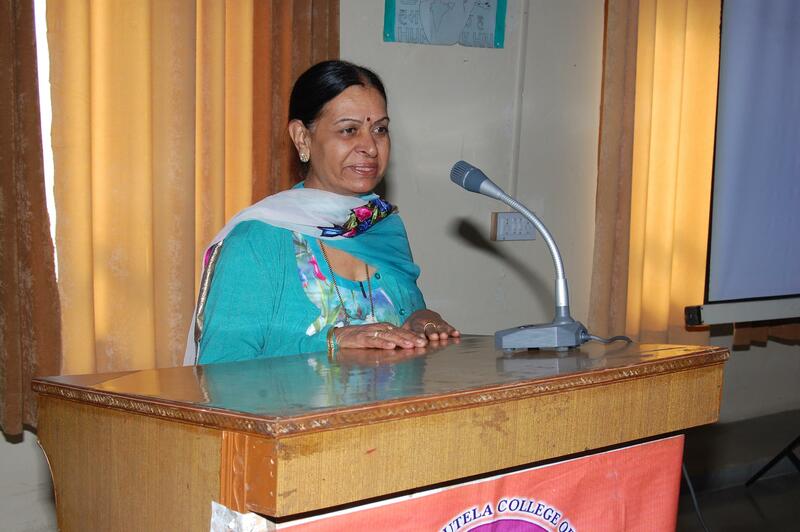 The college is located in Sirsa, Haryana. 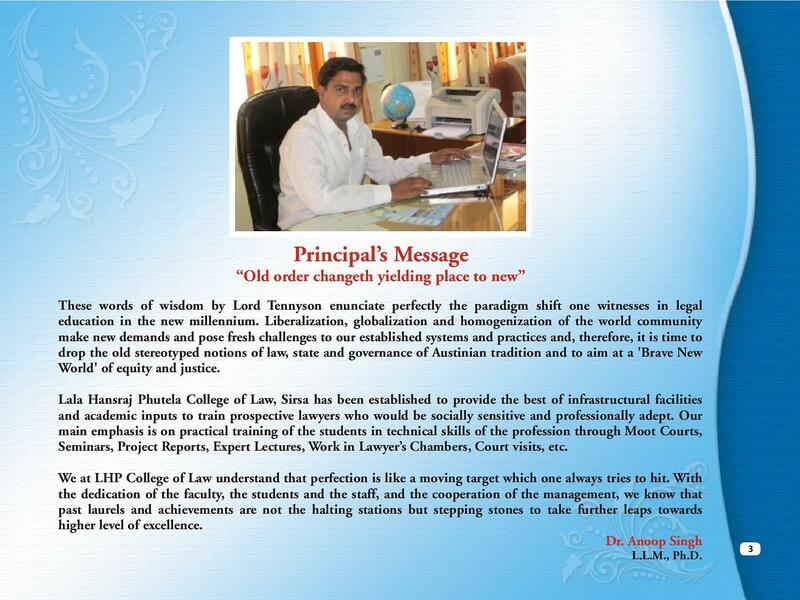 The college is a centre of excellence in the field of legal education by adopting modern teaching and training techniques. 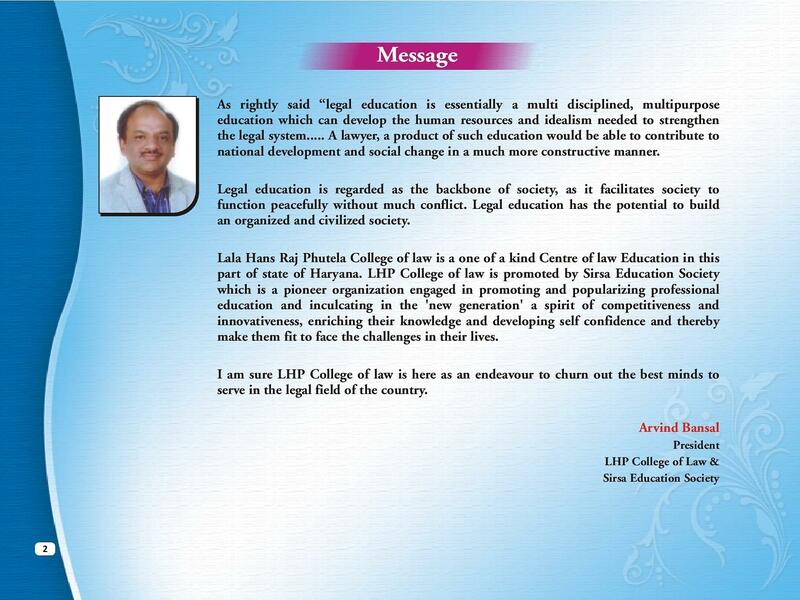 The aim of the college is to impart high quality legal education in the field of law. 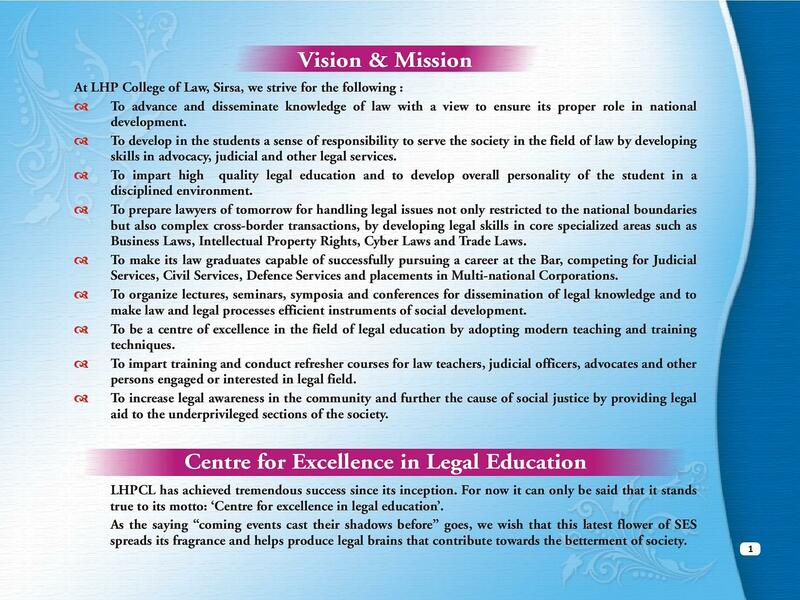 The main objective of the college is to develop in the students a sense of responsibility to serve the society in the field of law by developing skills in advocacy, judicial and other legal services, to increase legal awareness in the community and further the cause of social justice by providing legal aid to the underprivileged sections of the society and o make its law graduates capable of successfully pursuing a career at the Bar, competing for Judicial Services, Civil Services, Defence Services and placements in Multi-national Corporations.